There was a bidding battle at the auction on Thursday by two people who believed the vase was in fact from the 18th century. GENEVA (AFP).- A Chinese vase valued between 500 and 800 Swiss francs has sold for a record five million Swiss francs, a Geneva auction house said. 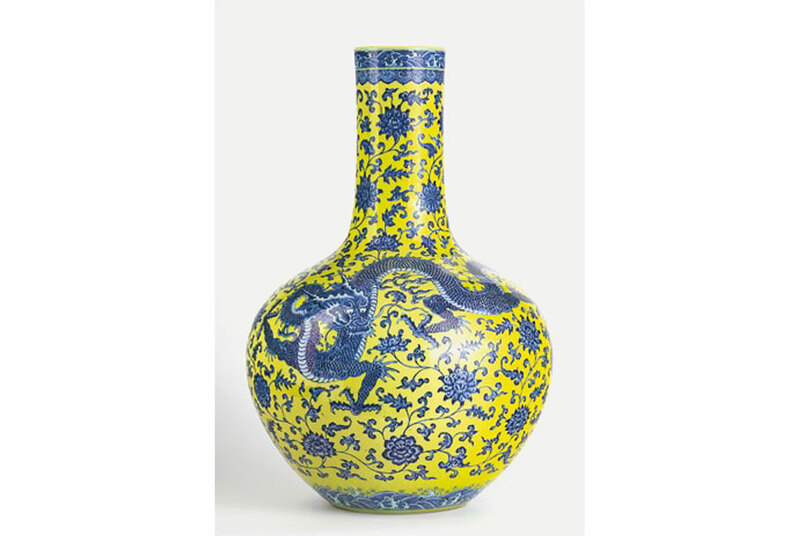 According to the catalogue, the vase, which is 60 centimetres (23 inches) tall and depicts three blue dragons on a yellow background, is from the 20th century but it bears an unverified mark from the 18th century Qianlong era. The auctioneer at the Geneve-Encheres auction house said the age of the vase was difficult to evaluate accurately and that they tended to be conservative in their estimates. "This is the hammer price so with the commission added it is a total of 6.08 million Swiss francs ($6.1 million, 5.1 million euros)," auctioneer Olivier Fichot told AFP. The final price was 10,000 times more than the catalogue estimate. The buyer, an amateur from Asia, was in the room for the auction, while his competitor bid by telephone. Fichot said that it was the highest bid ever made in Geneva outside of jewellery and watches. The auction house's previous record was a bronze Buddha statue that sold for 550,000 Swiss francs. MoMA announces artists included in "Being: New Photography 2018"